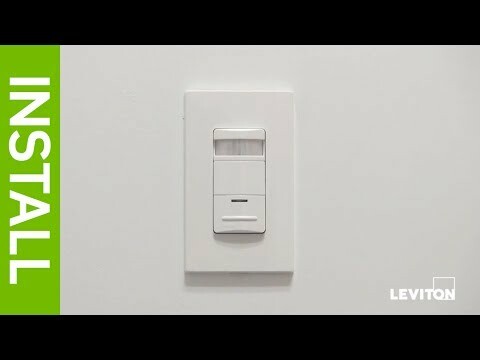 Leviton Occupancy sensor in white color, features passive infrared technology. It has 360-degree viewing angle. Relay sensor requires 120 - 347-Volt voltage for operation. It has a dimension of 4.44-Inch x 4.34-Inch x 1.58-Inch. Sensor with 42-Inch wire lead terminal connection, has response time of 30 seconds - 30 mins. It is fixture mountable. Sensor operates at temperature of 14 to 160 deg F. It easily installs on individual fixtures using standard 1/2-Inch knockouts and the quicksnap feature eliminates the time to tighten the locknut. The relay uses a zero crossing circuitry to offer reliable, long life operation. 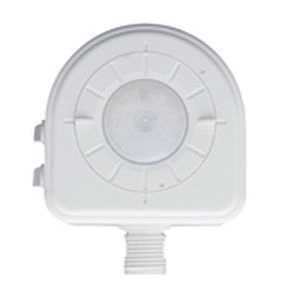 The integrated super bright green LED indicates occupancy detection and can be seen at 40 ft. Sensor is UL listed, CSA certified, ASHRAE 90.1 compliant and meets FCC standards.